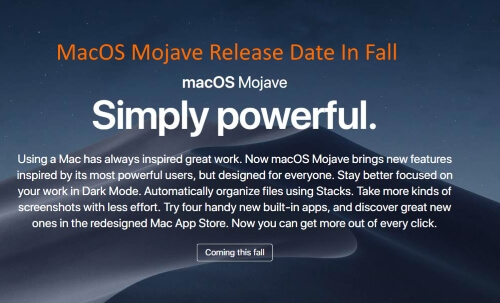 Here’s the expected MacOS Mojave Release Date of fall that alerting you to be ready and prepare your Mac for installing New MacOS Mojave on all MacOS Mojave Compatible Macs only. There are pretty cool and awesome features now available on Mac System like Dark mode, Continuity in Camera (Between Mac and iPhone), Dynamic Display Wallpaper, News App in USA, UK, Canada, Desktop Stacks, Voice Memos, Stocks app, Group FaceTime Video Call, improved performance in speed and users experience. Today we know all the settings and features but need to know what the expected release date on MacOS Mojave public is. Trusted Time and MacOS Mojave Release Date in Fall or After Fall. Sometime you will get after a week. 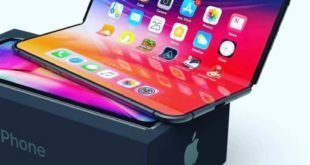 Or a month of October or later November or December if new Hardware will release in Mac Series just like iPhone X.
Till then happy waiting. All of will be good with the nice looking dark mode. Get in touch with us and comment me for more discussion about on MacOS Mojave Release Date release date.